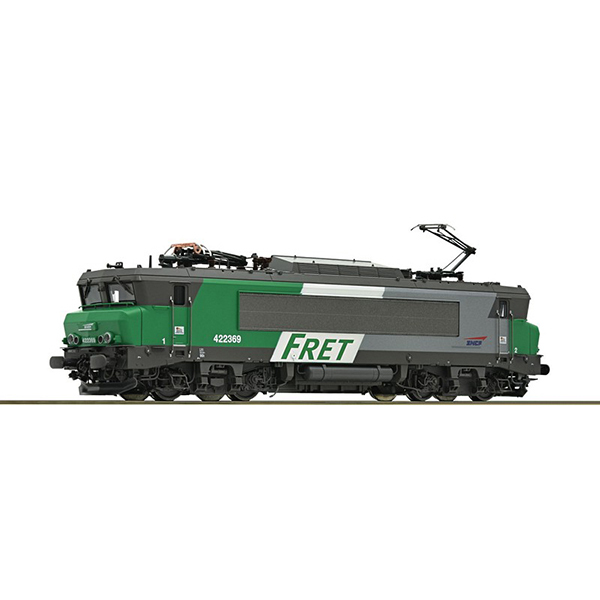 Electric locomotive BB 422369 "FRET" of the french state railways. Model Description: Motor with flywheel. Drive on four axles, one of them has traction tyres. Coupler pocket according to NEM 362 standards with close coupling mechanism. LED light changeover according to the french original. AC model with digital decoder and digitally switchable sound and light functions as well as buffer capacitor for uninterruptible power supply.